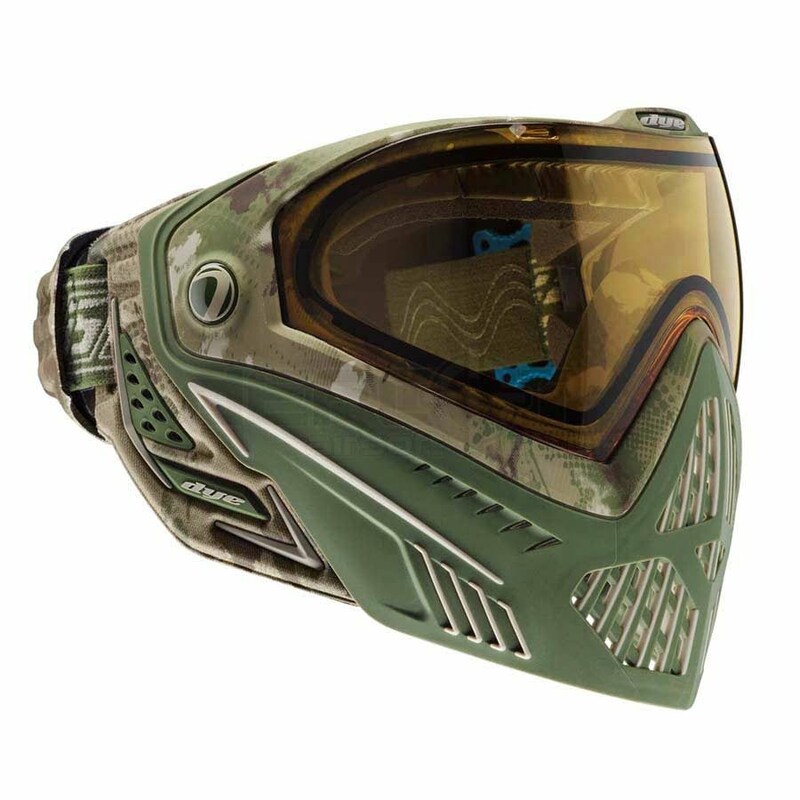 The next evolution in the DYE airsoft goggle line is also the next evolution in airsoft eye and face protection technology. New groundbreaking features like the GSR pro-strap and e.VOKE communication system make the i5 the most advanced goggle system in the industry today. 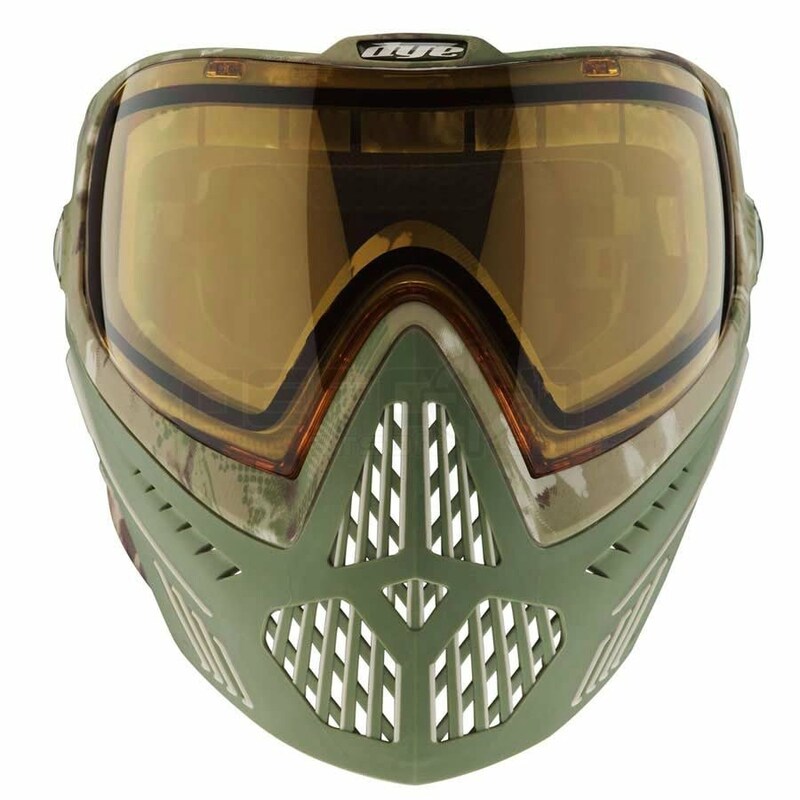 Engineered to perform, designed to inspire, the i5 is the pinnacle of airsoft mask development. The new i5 goggle system is an aggressive, Ultralite mask, offering more protection, more venting, better comfort, better sound processing and better safety, all combined for complete unmatched performance. The Tirodial Horizon 290 degree anti-fog thermal lens, gives you unparalleled optical clarity with both vertical and horizontal peripheral vision. 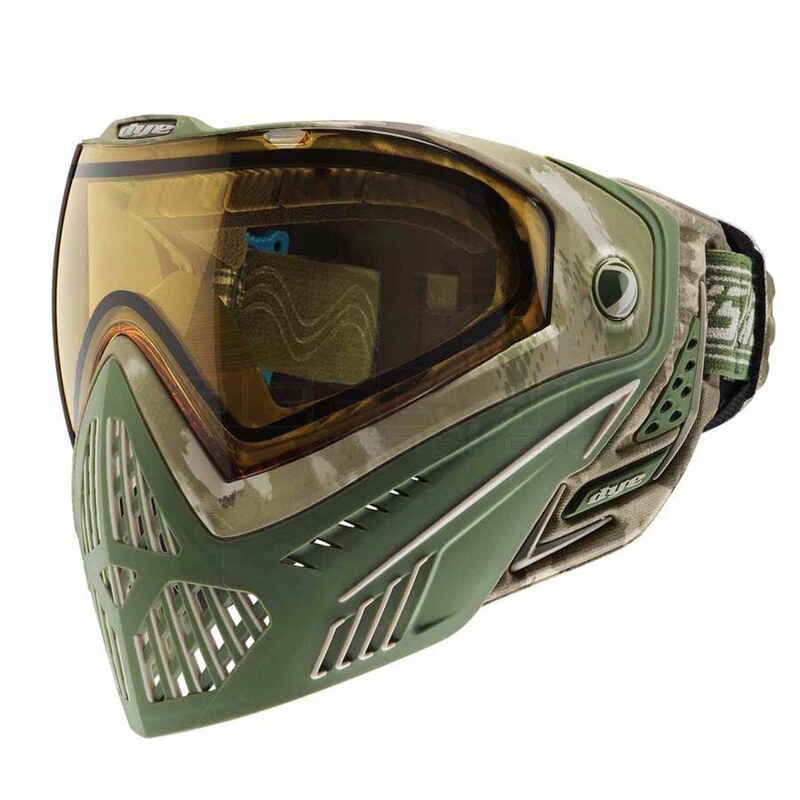 The new soft touch multi-layer foam works in tandem with the all new GSR Pro-Strap, to give you the most secure and most comfortable fit ever offered in a airsoft goggle system. A first for the airsoft industry: upgrade with the new technology e.VOKE unit and your i5 & M2 are in instant communication, feeding you vital game time information wirelessly. The i5 goggle system lets you play the game at another level. 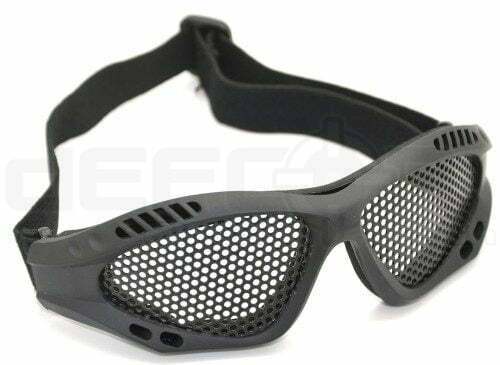 This is the next evolution in airsoft goggle system technology. e.VOKE Compatible – Electronically upgrade your game, the i5 is ready to go wireless. With the simple plug and go kit, your i5 and M2 are in instant communication, feeding you vital game time information via wireless air-sync connection. Automated audio alerts and reports keep you ahead of the competition. e.VOKE is the next evolution in airsoft goggle systems and airsoft gun technology. SCREAM Multi-Directional Venting – Using patented technology, the i5’s improved blade angling and increased vent design help heat and moisture dissipate quickly. Scream Multi-Directional Venting makes communication with teammates effortless. Sound Catch – Audio clarity. The i5 ear guards are specifically designed to prevent reduction in hearing, without leaving your ears vulnerable. Precision shaped and positioned hole patterns allow sound to flow cleanly through the ear guard, without distortion. Ultralite Construction – With injection molding quality as the priority, the I5 is a anatomically correct fit with the lightest construction possible. Anatomic Fit and Function – The anatomically correct i5 mask system offers the best in comfort for all facial contours. 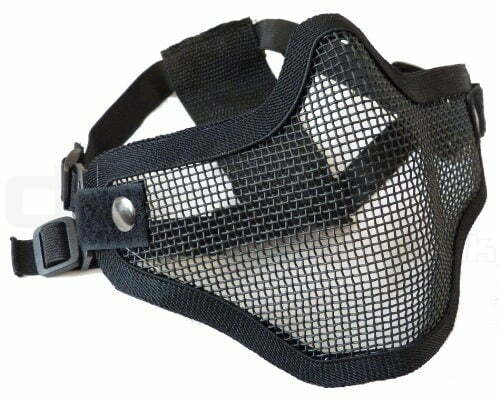 Mask geometry was meticulously designed for long lasting comfort while ensuring a secure, safe fit. Engineered to distribute force evenly, for a soft yet positive fit that doesn’t pinch or cause fatigue. Horizon 290 Lens System – DYE’s Horizon 290 lens offer more peripheral vision than any other airsoft mask system on the market today. Opposition movement is easier to recognize and provides a distinct tactical advantage. 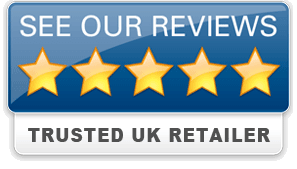 This, combined with our optically correct and robust Tiroidal design, protects your eyes with excellent optical clarity. The i5 lens is manufactured with a premium hard-coat dip, that protects both sides of the lens against scratches and minor abrasions. 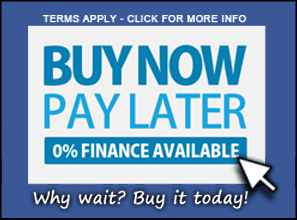 Additionally, Dye’s UV hard-coating offers exceptional protection from the sun’s harmful rays. The I4 and I5 utilize the same compatible lens. Compression Formed Ears – Ear protection is critical, but it does not need to be bulky. The i5 system features a compression formed earpiece that is soft, flexible and extremely lightweight. Constructed with advanced materials that increase moisture evaporation while providing full coverage protection and comfort. ASTM Certified – Sometimes meeting the standard isn’t good enough when it comes to safety. The i5 is tested at twice the current impact ASTM and CE standards. Compete with confidence that your safety is our #1 priority.